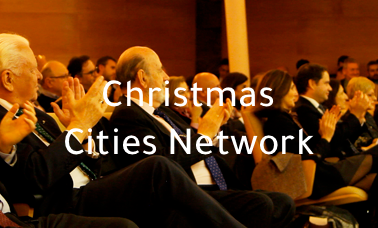 The new European Capital Christmas Call of 2020 is open. An opportunity to spread the intrinsic values of Christmas and European Union, such as harmony and peace helping to be the guide for the participation of any city that wants to promote its look. The event organization is the responsibility of the Christmas Cities Network Association, a non-profit entity, that pretend to raise the social and cultural development of the cities, promoting the preservation of its tangible and intangible heritage. May participate in the Call any of the towns in the 28 Member States of the European Union, although Switzerland, Norway, Liechtenstein, Monaco, Andorra and Island. The same city may submit to the Call only one single Project in the corresponding category, in which is compass all the proposed activities. In September of this year, the first meeting is already planned. Torrejón de Ardoz is one of the capitals winners in the Call of last year, and it will host the meeting that will bring a diversified public of cultural managers, urbans planners as well as, companies, public entities and academics institution. Alberto Gutiérrez, President of the Organizing Association and Spain Senator, relates that ‘’ this project is unifying the several generations around the peace and solidarity, allowing each place to share its traditions, similarities and contrasts in the celebration of these holidays in the different cities, regions and countries, deepening in the diversity and common characteristic among European citizens and their customs’’.